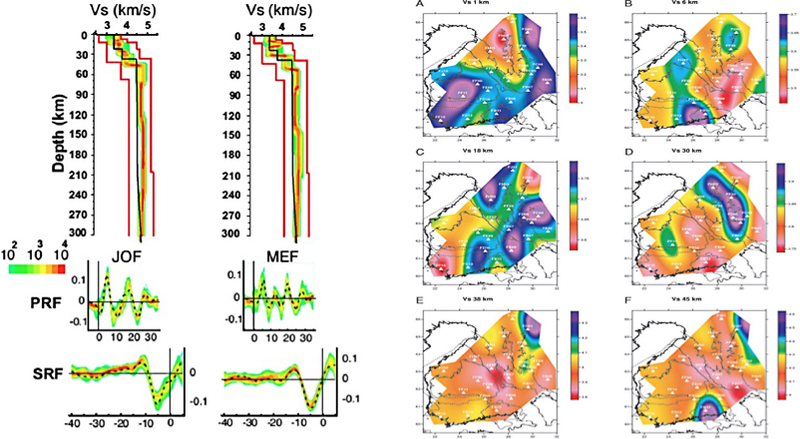 The main goal of the proposed research is to construct a P- and S-wave seismic velocity of the crust and uppermost mantle of the southern part of Norway (Fennoscandian shield) by combining P-wave receiver functions data and S-wave receiver functions data of the NORSAR seismic array. For this purpose, we are going to use well known method of the receiver function analysis, developed by the Institute of Physics of the Earth of Russian Academy of Sciences, along with classical array techniques. The model will include: a) P-wave velocity model; b) S-wave velocity model; c) position of the major seismic interfaces in the crust and upper mantle. In particular, we are going to investigate basic mantle boundaries such as LAB and Lehmann along with the transition zone 410-660 km. The model will be combined with the P- and S-wave velocity models of the crust and upper mantle obtained by the NORSAR local event studies.